It was recorded at the 6,000-year-old Kourion Theater in Cyprus August 19, 2012 during the bands Dystopia World Tour. Is it the best live album by Iced Earth? Which do you recommend? 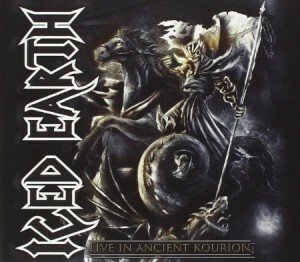 This entry was posted in 2010s Live Albums, Heavy Metal Live Albums and tagged 2010s hard rock, 2012 live albums, Iced Earth Live Albums by Paul Simister. Bookmark the permalink.